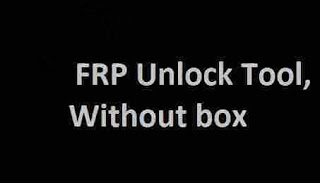 Download FRP Unlock Tool without box latest version for free of cost. FRP Unlock tools are released with new and unique features for Android users. This FRP tools supporting all Android os version of phone devices. To remove FRP locks from phone devices like Samsung, Huawei, Lenovo, Asus, Vivo, Motorola, HTC or any other brand. On each of the following tools, you have a sidebar of supporting models, from there you can choose your one. So give it a try on your PC without any box. This will make you unlock any mobile phone within few clicks on the FRP unlock tool. If you wish to remove Samsung FRP locks, then download and install Samsung FRP unlock tool for PC at the given download link. Samsung devices are much complex and have an extra difficulty level. 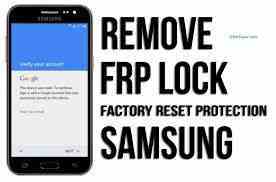 This Samsung FRP unlock tool easily bypass the google account for all Samsung models. So Download Samsung FRP Tool for free. The MTK FRP Tool is best FRP Unlock Tool for all phones, you can use MTK FRP tool to easily unlock and FRP and bypass Google accounts. The MTK FRP unlocker tool is working with Odin to conduct phone devices in different manners. Download MTK FRP Tool at the given download link. This latest FRP unlocks tool is simple and easy to use. Just tap the link and install this tool for free. UAT FRP removal tool is one of the best tools to unlock FRP Locks on smartphones. With the use of this tool, you will unlock your smartphones without any issue. This tool is best for FRP resets on Android devices. Works on different modes in additional, the list is just right below. This latest tool Support mobile phone models like Oppo, One plus, Lenovo, LG, Vivo, Coolpad, Asus and other brands. The best thing about this UAT FRP unlocker tool is that it works offline. Once you have download UAT from here and do the installation. Then you can easily use it without any network connection or internet connection. To launch the FRP unlock Tool, after it installs on your PC Windows. This tool creates a desktop shortcut automatically. So you have to RUN as Administrator every time you wants to open and access to the application. This tool always comes in RAR or ZIP file, Before you proceed just extract it and enjoy. So download this latest FRP tools free for Windows without of cost.